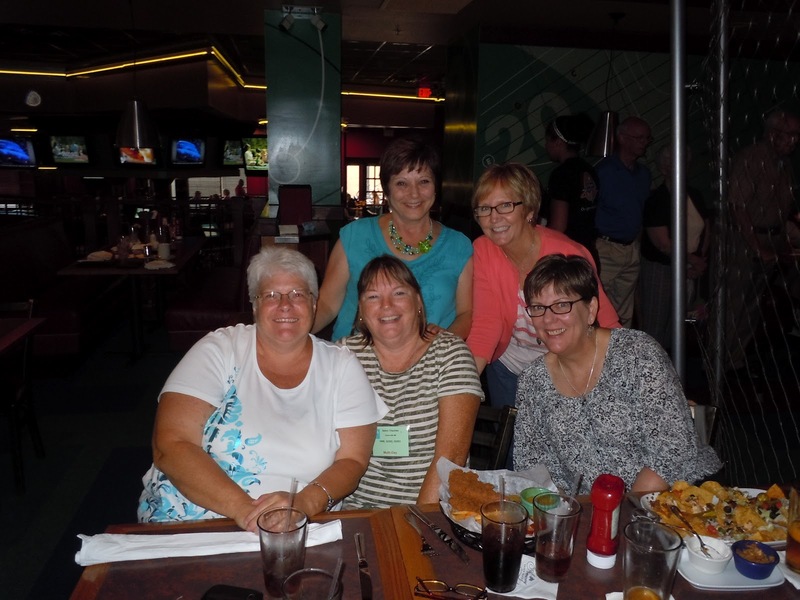 We’re back from Grand Rapids, my quilting amigos and I, and what a good time we had. We enjoyed all the quilts on display, learned new things in our classes, shopped too much, ate too much good food, drank assorted beverages, and dropped in on the outdoor Swing Dance Party (Tues.) and Polish Festival (Fri.). 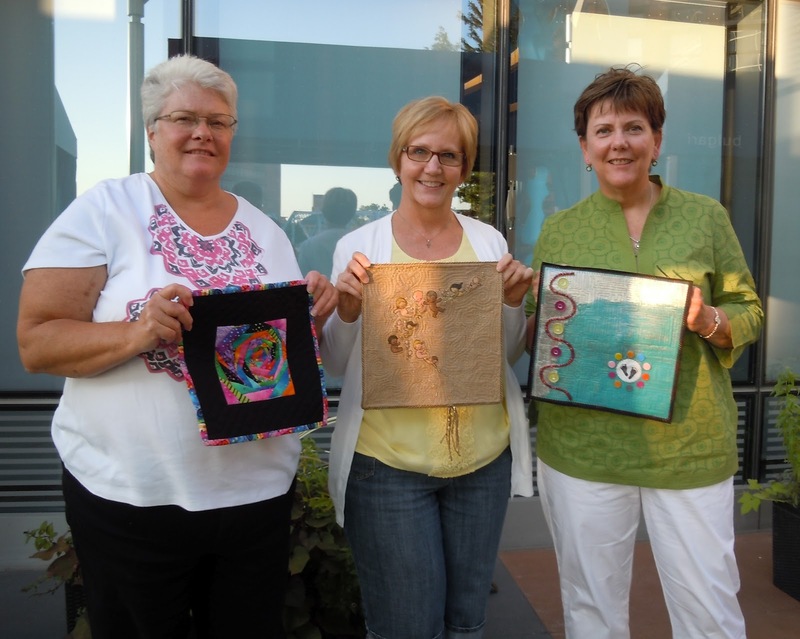 We also got together for our latest “T” For Three Challenge quilt reveal. 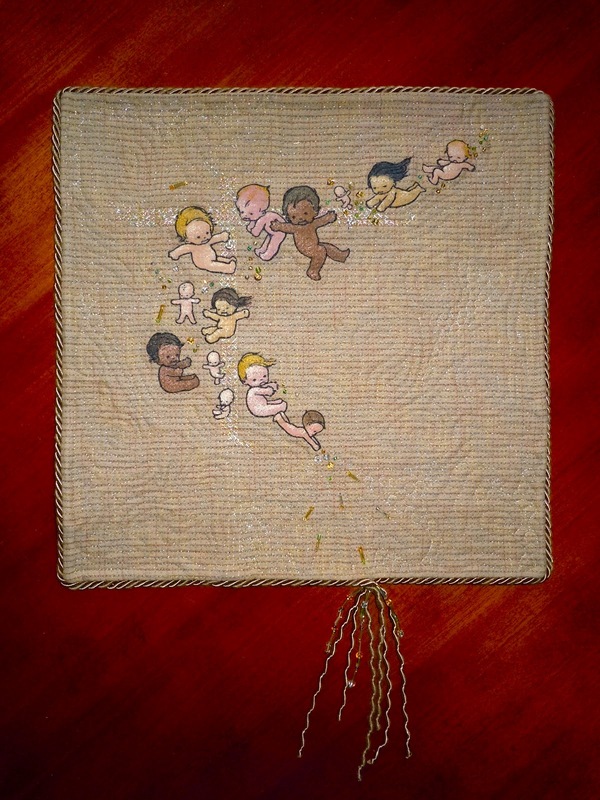 The theme this time was “Teeny Tiny” and as always our only requirement is that the finished quilt measure 12″x 12″. After that, anything goes! Then, on the spur of the moment I googled baby images – because I take care of premies, after all, and they’re teeny tiny. 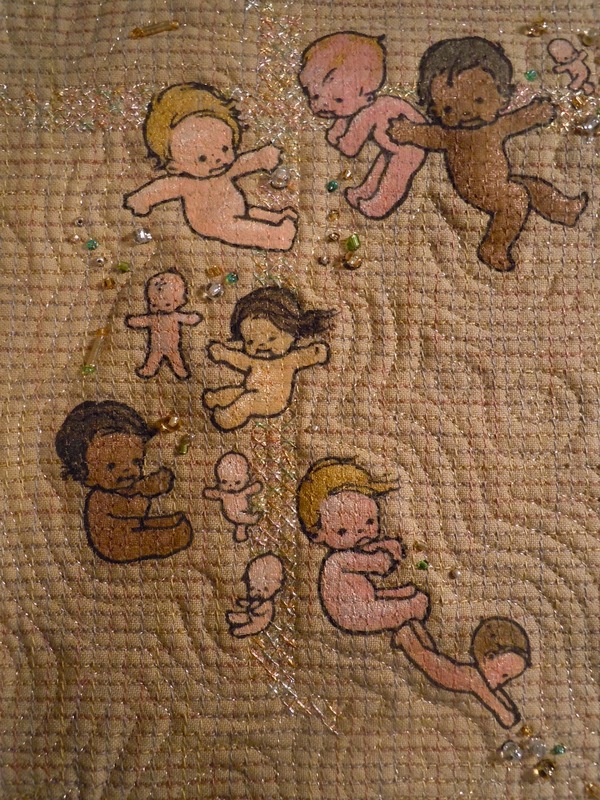 I found the image of these babies that seemed to be falling from heaven and loved it. That was the end of my quest to be clever! 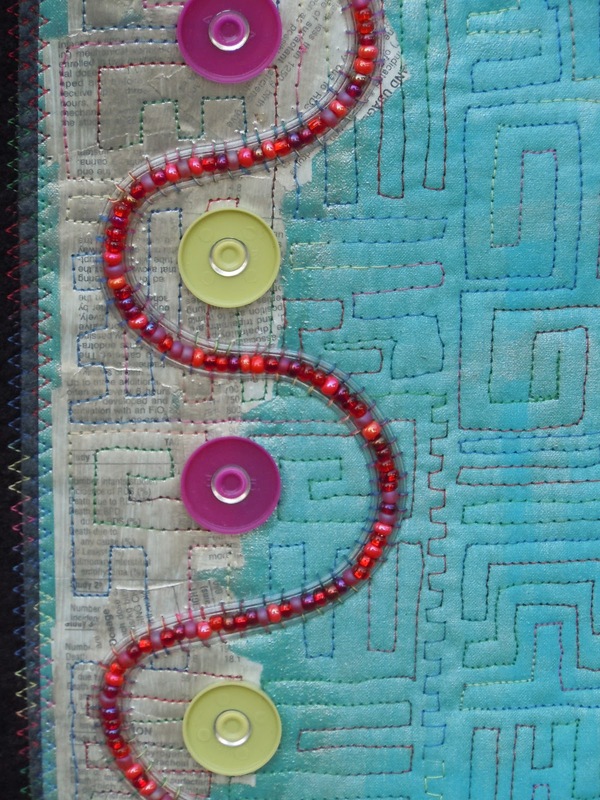 Silk cording was sewn to the outside edge and a beaded tassel completed the quilt! 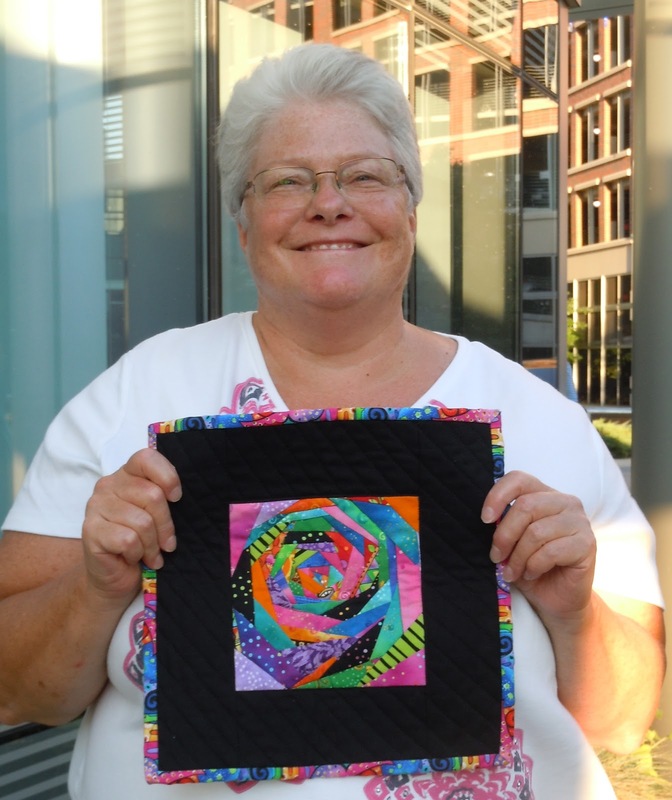 Brenda is the newest member of our quilting challenge. 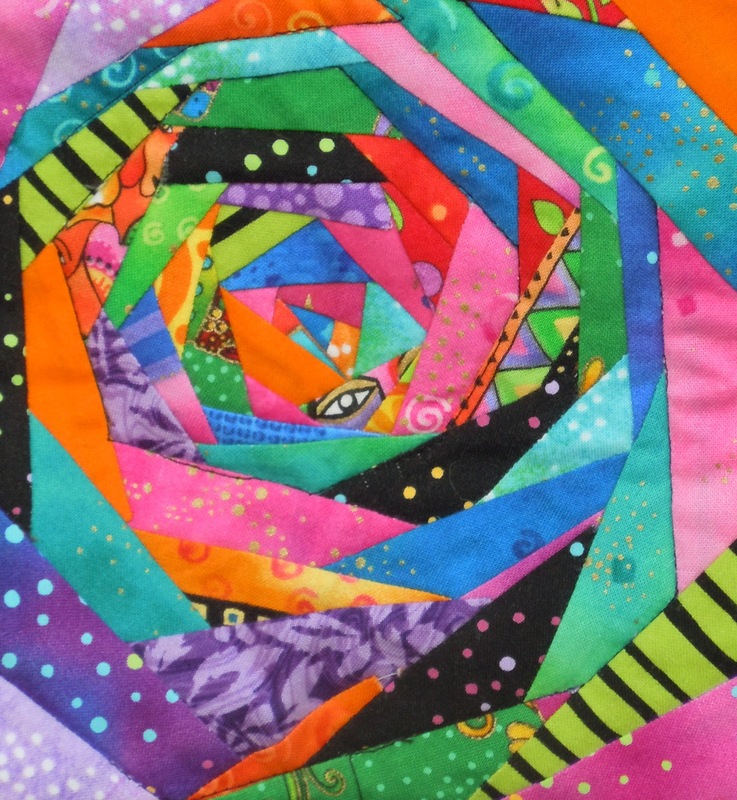 She is an amazingly prolific sewer who recently took up long arm quilting. She loves bright prints and crazy quilts. 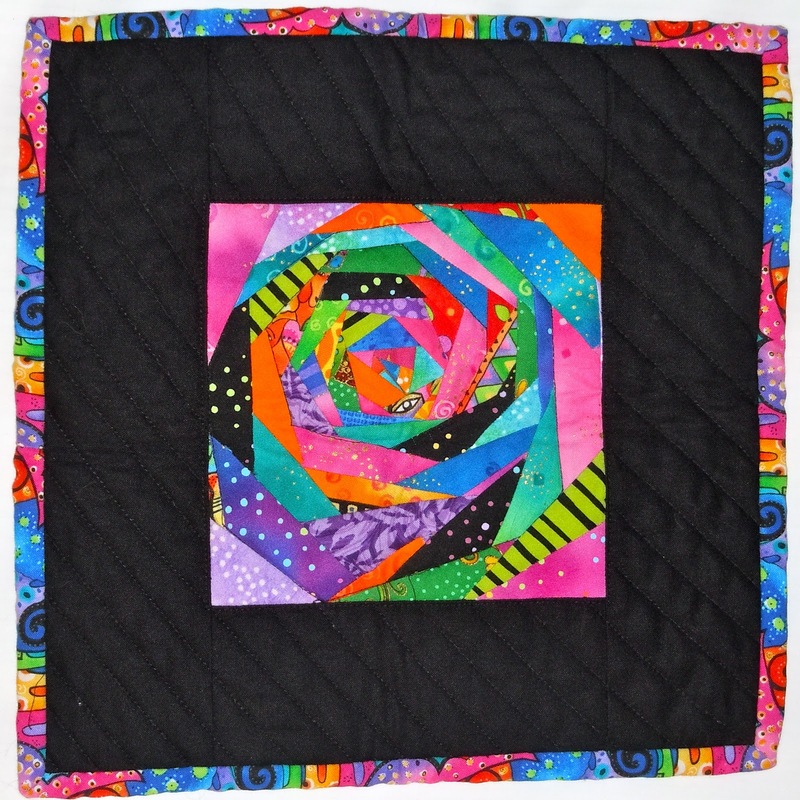 Brenda used paper piecing to create her teeny tiny design in a crazy quilt style and of course used her signature bright fabrics! The teeniest tiniest things in my life are the premature infants I have cared for my entire nursing career. Brenda, Ellen and I have cared for many 23-24 week gestation babies that often weigh just one to one and a half pounds. 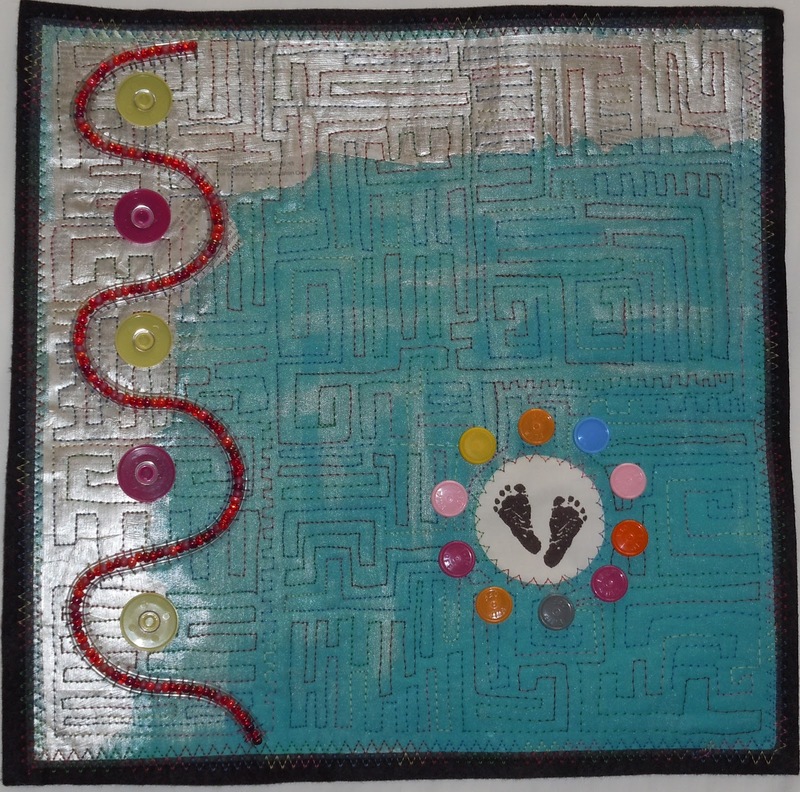 My quilt represents a bit of the high tech world of a NICU. Metallic silver equipment, tops of medication vials, IV tubing and often the blood transfusions that flow through that tubing. What holds it all together is the torturous path that parents, preemies and medical team must travel before those preemies are well enough to go home. Painted cotton, paper, plastic medication vial tops, plastic tubing, seed beads and felt. There you have it! On to our next challenge theme ……………………….. BEAUTY!